This year again we took the time to review books & more for you. For historical novel lovers — this may just be the book for you. Set in the swords and sandals era, you’ll love the zombie and well-researched historical mashup of Gladiators vs. Zombies by Sean Michael Argo. This horror book is about insects. To make this a really scary experience, Cormier brings in dog-sized centipedes. It is truly the stuff of nightmares. Eaters is written in a blog format. It’s horrifying novella with well-rounded characters. This is another zombie, historical mashup which takes place during the American Revolution involving a tax collector. Munger’s novel is a wonderful, historical piece with tons of Easter eggs throughout the story and well-developed characters. Zombie Revolution is clearly a skin-crawling read. In this collection of stories, the readers are taken into the different regions of the Appalachia Mountains Folklore. After Ghosts of North Carolina Shores, Rivers once again engages his audience with historical ghostly tales. Appalachia Mountain Folklore is an enjoyable read ghost story lovers. Jazan Wild is a writer of graphic novels. This book contains some of his artwork. Wild’s book takes place in a haunted house, and although not scary, it’s an entertaining read with well-developed characters. Funhouse of Horrors gives the reader an impression of what the protagonist is experiencing in this haunted house. After the popularity of the Walking Dead, the year 2012 became the year of the zombies. A group of survivors may their way to an island to join others. 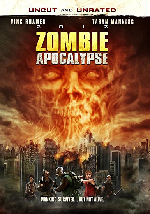 Sadly, the movie has a weak script but if you are looking for a ridiculously bad movie and characters too dumb to live, 2012: Zombie Apocalypse is for you. The movie Doghouse is a zombie comedy romp. Without giving too much away, the movie is often compared to the famous British zombie movie Shaun of the Dead. Doghouse is a play on male and female fantasies and if you are looking for something amusing to watch, check out this movie. 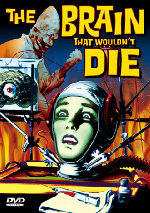 The Brain That Wouldn’t Die is a typical B-movie classic that falls in the “so bad, it’s good” category. The story line involves a ruthless surgeon who suddenly has the decapitated head of his fiancée on this hands. So what does he do? He tries to save it. The story is more about Jan’s head than her brain. So if you are looking for an out-of-body experience, The Brain That Wouldn’t Die may be just what you are looking for. This is certainly one of the most famous movies by the producer and director, Corman. Known for his low-budget movies, Corman once again surprises his fans this wonderful humorous dark comedy turns terror. It definitely belongs in the weird tales category and has some very odd-ball characters. The story is about a Venus Fly Trap hybrid turned giant, carnivorous plant, Trudey Jr. and its creator. The exaggerated and over-dramatic play on stereotypes, as well as the punch lines, make this an enjoyable movie. 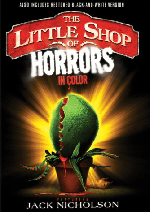 A plant constantly mouthing off, a flower-eating customer, a clumsy florist and Jack Nicholson playing the role of a sadomasochistic undertaker make The Little Shop of Horrors surely worth watching more than once. The Hitchhiker’s Guide to the Galaxy: Earth Edition has some horror-themed articles. Check out The Duality of Human Nature According to ‘Dr. Jekyll and Mr. Hyde’, Scary Tales for Halloween, Pennsylvania’s Ghosts and some advice on How to Not To Go A-Ghost Hunting. Also, read an interview with Dmitri Gheorgheni and Herr Barda about Swedish ghosts. Top 10 Things to Know About the Day of the Dead, How Cats, Rats, Bats, and More Became Halloween Animals, Rare Halloween ‘Black Moon’ Explained and These Animals’ Screams Will Chill Your Blood. For great, creative Halloween ideas and artwork, the Bored Panda has some wonderful posts including 20+ Vintage Halloween Costumes That Will Scare You To Death, Terrifying Pumpkin Carvings By Ray Villafane, Felt Witch Hats That I Make From Wool, 20+ Terrifyingly Pawsome Halloween Costumes For Dogs and Instrument That Produces Sound In Horror Movies. Live Science page wrote about Halloween 2016: A Guide to the When, Why, What and How and Scary Science: How Your Body Responds to Fear on their site. Zombie Research Society released a list of Top 10 Zombie Movies for Halloween on Netflix and the article Brain Hacking – Curing The Undead Brain. Business Insider posted a list of The Most Popular Halloween Candy in Every State, and Fast Company has a list of The Worst Halloween Costumes to Wear to Work. Also, check out these wicked cakes including “The Little Shop of Horrors,” “Frankenstein,” “Bates Motel” and more here Deliciously Wicked – Horror Movie Themed Cakes and form handicraft ideas, visit Maddy’s site Mad Crochet Lab for Quick Halloween Treats. For pumpkin crafting ideas, check out the entries NASA Jet Propulsion Laboratory. JPL’s Sections 352 and 355 held their 6th annual pumpkin carving contest. See entries on their Flickr site. If you haven’t watched it yet, we highly recommend John Cleese’s amusing recapping of The Walking Dead. Did you miss out on Spooky Halloween Reads and More 2015? check out our post now.